Pack of 10, 2 layer tissues in resealable pocket sized pack. Tissue size - 95mm x 205mm. Suitable for all age categories. 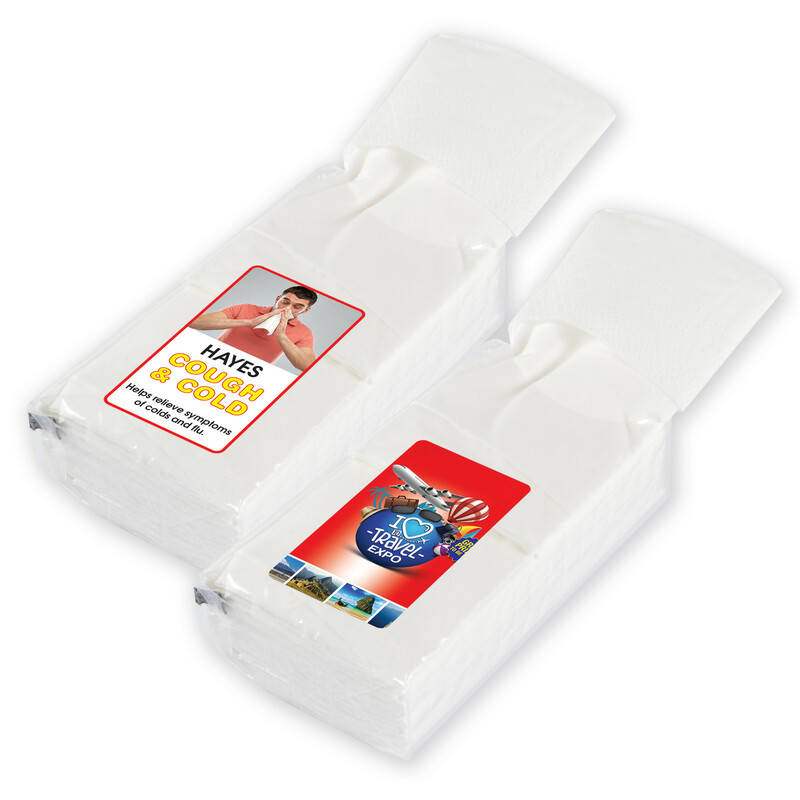 Can triple as a business card, brochure and promotional item.